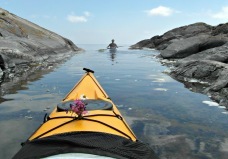 The sea kayak centre in Saint Anna archipelago is situated 230 km south of Stockholm on the east side of Sweden. 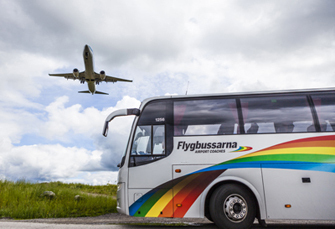 Most of our visitors who come with airplane is flying to Skavsta or Arlanda airport. From the airports it's very good train or bus connection to our nearest train station in Norrköping (60 km from us) Buses go to our nearest small city Söderköping (40 km from us) almost two every hour. From nearest city Söderköping to us (40 km) you will travel with taxi for only 45 SEK/person one way transport. Taxi transport is subsidized by the local tourist office so that's way it is so incredibly cheap. You can travel Monday-Friday between 09.00-12.30 and 17.00–21.00. On Saturday and Sunday it is between 09.00-17.00 you need to start from Söderköping travel center or from us back to Söderköping. The taxi transport need to be pre booked latest the day before. You call +46 771711020 and say what time that you want transport from Söderköping station to Kajakparadise St. Anna. We can also do the call for you, just tell us what time you want to start from Söderköping. Back from us to Söderköping we order here for you. Most of our customers use the public transport from airport Skavsta (or Arlanda) but also groups (three or more) rent car for a surprisingly cheap price at the airport. The car give so much more freedom and easier to do the food shopping. 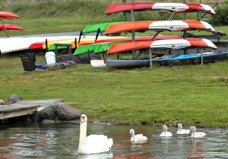 From the nearest town Söderköping road 210 (about 40 km) will lead you out to the St. Anna and our kayak center. After Lagnöbridge turn at the sign after about 800 m to Mons Camping and then follow the signs to our kayak center (2 km). Kayak rental is located close to the beach. Parking option really near. Most of our customers buy the food in Söderköping Only 300 meter from the travel center is a big food shop. The wine shop in Söderköping is 600 meter from the travel center. New for this year is that only 200 meter from our kayak centre is a new mid size food shop where you find all basic food for a kayak tour. If you are out an a longer trip then 4 days then you will come to food markets with the kayak where you can supply with fresh food. Water bottles and freshwater you will get for free from us and out in the archipelago are place where you can fill up. We have a storage room for the luggage that you don't bring with you into the kayak. Send us your questions, we love to help you to get a nice kayak tour. Nearest airport is Skavsta, south of capital Stockholm. Airport bus (55 min) to Norrköping cost 140 SEK. The biggest airport in Sweden is Arlanda, north of Stockholm. 260 km from us.